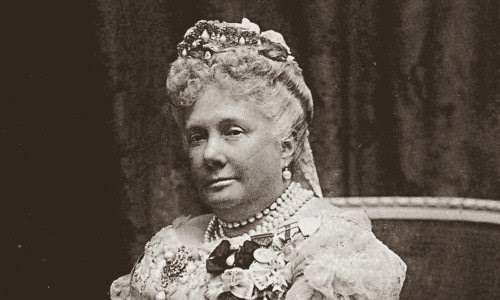 The younger Isabella, known as “La Chata,” wore the tiara throughout her lifetime. On at least one occasion, she loaned the sparkler to her younger sister, Infanta María de la Paz. 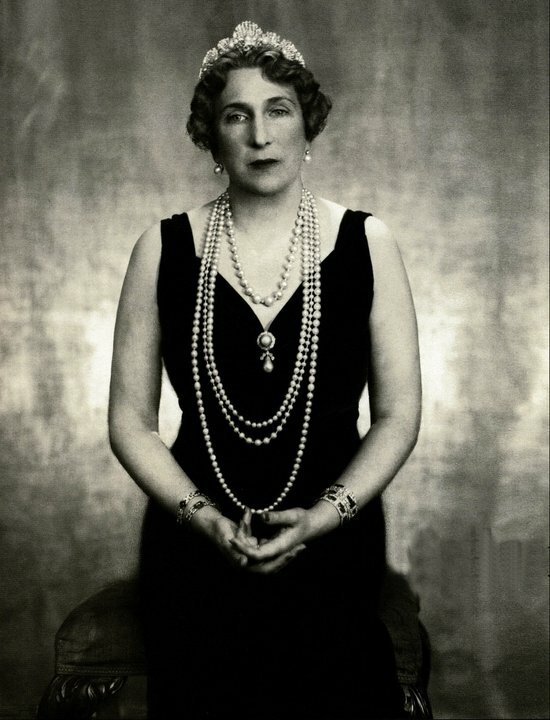 Isabella did not have any children, so when she died, she bequeathed the shell tiara to her nephew, King Alfonso XIII. 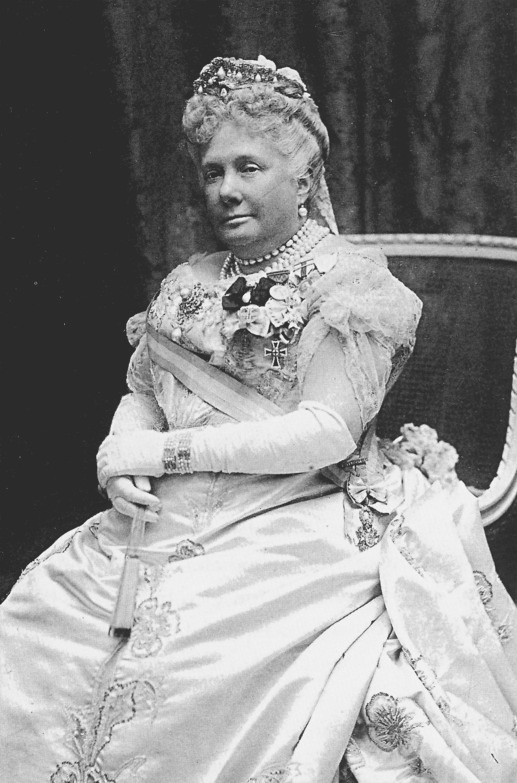 His wife, the British-born Queen Ena, only wore the tiara a few times; she also loaned it at least once to her daughter-in-law, Maria, the Countess of Barcelona. 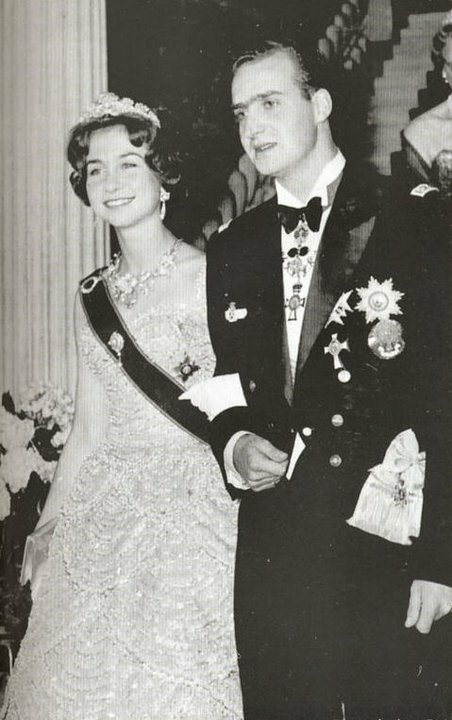 In 1962, the Spanish royal family gained a new member when the Maria’s son, Juan Carlos, married Princess Sophia of Greece and Denmark. Ena and Juan Carlos’s parents jointly gifted the shell tiara to the the new Spanish princess. Sofia, who changed the spelling of her name upon her marriage, wore the tiara for the first time at her pre-wedding ball in Athens. 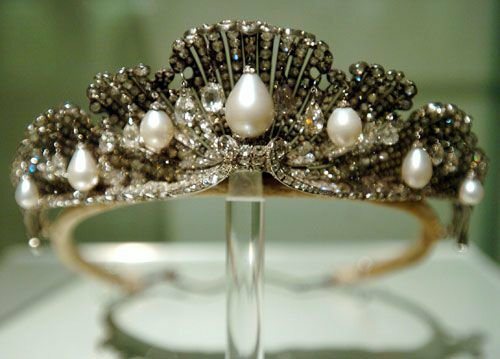 Since then, the tiara has become one of her most frequently worn pieces (in the photograph above, she wears it at a 2003 state banquet for the Brazilian president), even after her jewelry collection expanded upon her husband’s accession to the Spanish throne. But Sofia has also continued the tradition of loaning this tiara to other women in the family. Both of her daughters have been depicted wearing the tiara, as has her sister-in-law, Infanta Margarita. More recently, she also loaned the piece to her daughter-in-law, Letizia, the Princess of Asturias. Even though this tiara is Sofia’s personal property, I wouldn’t be surprised if its lengthy family history makes it a prime candidate to remain with future Spanish queens — first Letizia, and eventually her daughter, Infanta Leonor . 2. A version of this post originally appeared at A Tiara a Day in October 2013.